You know how you read a story and it touches your heart and how the one thought that keeps going through your mind is, “I can’t imagine.” That was my reaction when I read the words of Tal Ovadia. One minute, she was a happy wife with a loving husband that she adored, two small sons that kept her busy, and a long and happy life ahead of her. Minutes later, she was given the horrible news that her son had been murdered by a Palestinian terrorist. Hours later, she was burying him. I can’t imagine. More, Yotam was murdered not for anything he did but for who he was. He was an Israeli, a Jew and thus the enemy. “What I will do now as far as my children are concerned?” Tal asks. It is a question for which no one has an answer. She will join the community of “suddenly bereaved.” I heard that term once spoken by Sherri Mandell, mother. Sudden because it was never expected. Her son, Koby, was only 13 years old when he was brutally murdered while hiking near their home. 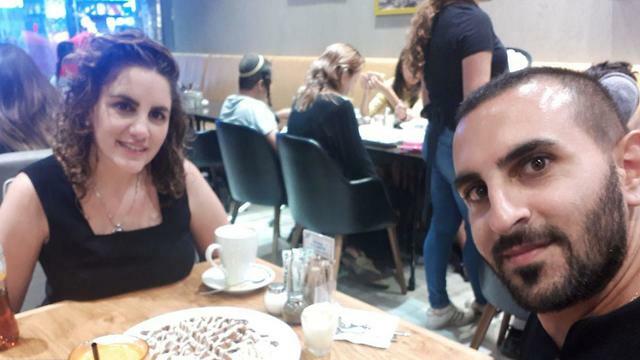 Yotam Ovadia was brutally murdered on his way to collect groceries he had purchased to make Tal a romantic dinner. Can you imagine? “I don’t know how to continue and to be strong for the children. We were everything to him. The home was his kingdom.” Does it make Yotam’s death any more tragic that his killer was only 17-years-old? A product of such hatred, that Mohammed Tareq Yousef chose to destroy so many lives, including his own? “He fulfilled every dream for me. I would always say to him: ‘You are the one, the only and special one for me. '” Suddenly, beautiful words spoken between a wife and her husband become tragic reminders of what she must overcome. How can anyone imagine the pain of Yotam’s family? And no matter how many times it is echoed by so many others in Israel, victims of other attacks, it still becomes fresh and new each time. Ever Wonder What a Day in the IDF Is Like?